Expand the capability of your rotary hammer with these accessories. 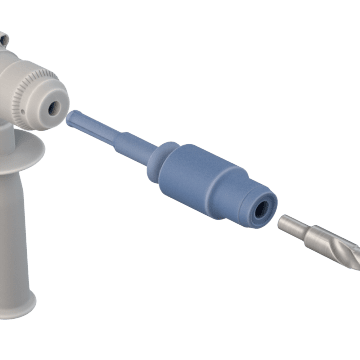 They include adapters that allow the tool to accommodate different types of shanks and extenders that make it possible to drill deep holes and reach confined spaces. Use adapters to attach drill bits with a different shank style to your drill chuck. Some adapters let you use standard drill bits with your rotary hammer when the tool is in rotary-only mode. Improve the versatility and reach of your drill with these adapter and extension systems. 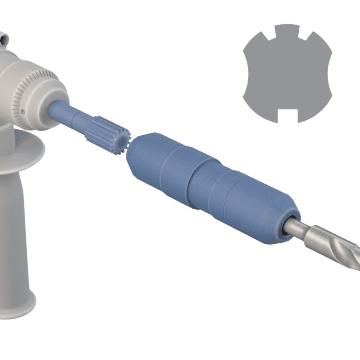 Use them to connect SDS Max drill bits to rotary hammers with different chuck styles and to lengthen the tool's reach for deep drilling or working in confined spaces. A special connector must be used to connect the adapter or extender to the drill bit in order to ensure the maximum amount of energy is transferred to the tool. Choose an adapter and extension system that matches the chuck style of your rotary hammer. 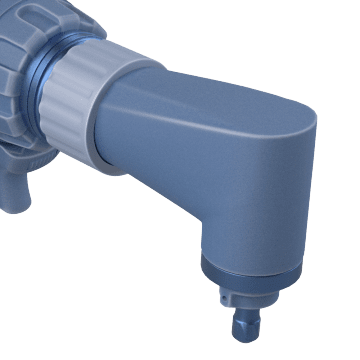 Connect one of these attachments to a compatible rotary hammer to mount a drill bit at 90° to the tool body, making it easier to work in confined spaces. 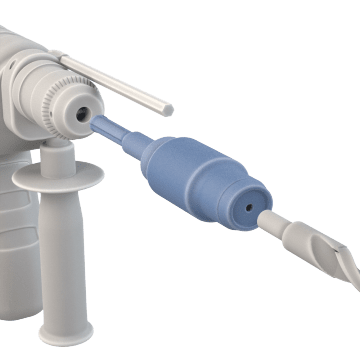 These attachments can be used in rotary-hammer mode for drilling into hard materials such as concrete and masonry or in rotary-only mode for drilling in metal, wood, ceramic, and plastic.